I had a rare day off so I decided to pop down to Blackwood and I'm glad I did. 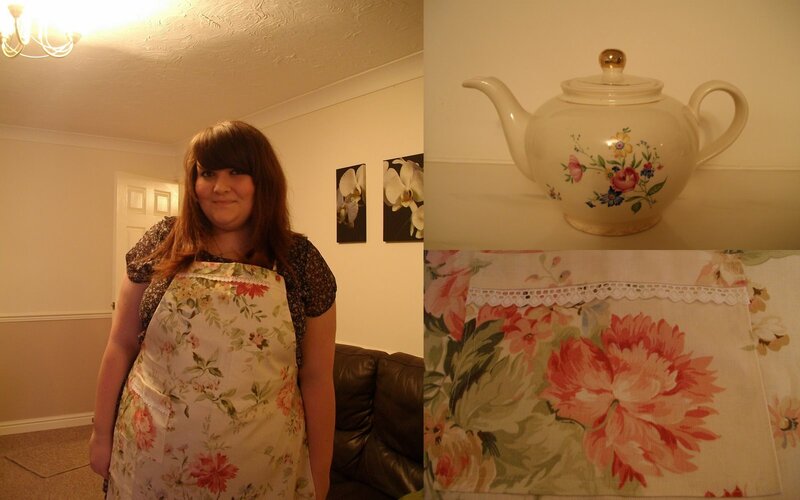 I found a great apron for £1.50 which was hand made by the volunteers in the St David's Foundation shop. Just before I bought the apron I saw one for ten times the price which I was going to buy but I held back on it which was a good call. I got the adorable tea pot from Barnardo’s for £2. A very productive day off! I'm going to look around Albany Road tomorrow in between training and work because I have a three hour gap to fill. I'm going to be looking out for some nicely illustrated books and old music score to make paper Christmas decorations with.